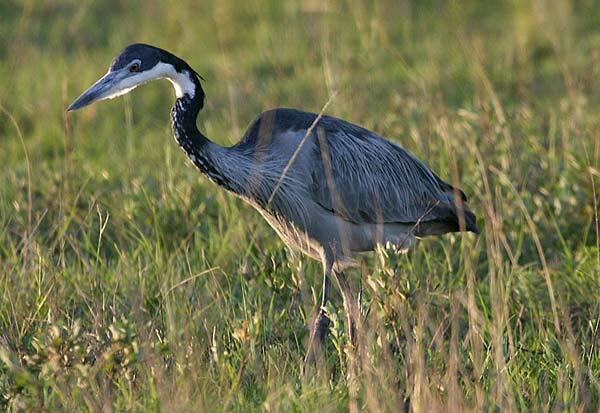 Photo of Blackheaded Heron, Tala Private Game Reserve, South Africa. Location: Tala Private Game Reserve, situated close to Durban on South Africa's east coast, features an interesting mix of thorn trees and open grassland that supports a diversity of wildlife and offers good opportunities for taking pictures of resident birdlife plus giraffe, zebra and a variety of antelope. Tala is unique in that it is surrounded by farms and other development, yet much of this is hidden once you are in the game reserve. The animals have grown accustomed to vehicles, so you don't need a long telephoto lens. The reserve is situated in a malaria-free area.